Yet, we never think about our dependence on power until it stops doing for us what we take for granted. They’re unpleasant when they happen at home, but more so when it happens at large planned events such as weddings, corporate events, festivals and other such gatherings. If power goes out at night during a large event your hosting and or putting together, it could spell trouble with a capital “T”. People could panic, the elderly will face difficulty seeing and children could get ‘lost’ in the shuffle. It’s an unsafe situation for anyone attending your event to find themselves in. If it persists you lose trust and people will avoid attending any more social events you host in the future. When people are under your care you’re responsible for their safety for the duration of time they’re patronizing your event. Imagine investing HUNDREDS of man hours putting together the perfect event. Suddenly, the electricity goes out. Excitement and joy are now ruined by ‘fear’ and ‘doubt’ among your guests because of prolonged ‘unforeseen’ power outages. Power outages make people feel vulnerable and unsafe. That’s why they’re counting on you to make sure it never happens. It happens. Human error is inevitable. In spite of your best efforts relying on your main power source is unwise. Give yourself and your patrons peace of mind with our backup generator power supply. BIG parties rely on *BIG* electricity to power all forms of entertainment, food stalls, lighting and amusement rides. Regardless how much you prepare for emergencies during your event, if it’s a power shortage, you’ll have to evacuate people early, deal with angry customers and refund a lot of money for inconvenience. 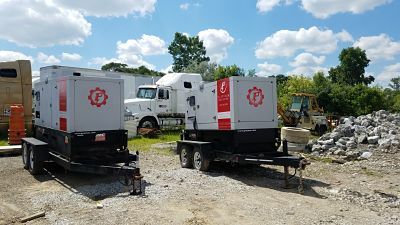 If you want your event to run smoothly from start to finish rent our backup generators to prepare for emergencies in the event of an outage. 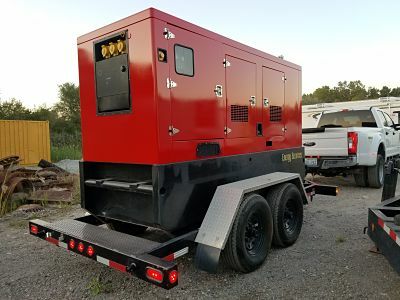 Considering these reasons why you should rent a backup generator for your next event, NOT having one would be irresponsible. You could save a few bucks and cross your fingers ‘hoping’ your main source of power will run flawlessly from start to finish, but you’d have better odds gambling your life’s savings on a single hand of poker. Power outages happen ALL the time. You just want to be prepared for when (and if) it happens to you! Don’t hesitate to contact us today to see what generators we have for rent that’ll best suit your needs. "The response to our calls is always quick, the service is 'second-to-none' and their prices are extremely competitive; almost TOO affordable! We look forward to working with Platinum & Co. on an on-going long-term basis." "Platinum's support and expertise made it possible for us to end our 2-day corporate event with a bang! They've never let us down and for as long as we've been using their service over the last 5 years, no one else can match your prices. Thank you." "Hey guys. Regarding your power rental equipment, it's been working without a hitch the last 24hrs even outside in these crazy weather conditions. We're impressed how well it held up which is a testament to how strong your technicians are in making sure every unit in your possession is like a well-oiled machine. Thanks again."